Vivaldi et al. Nerone fatto Cesare. (RV 724, Venice 1715). 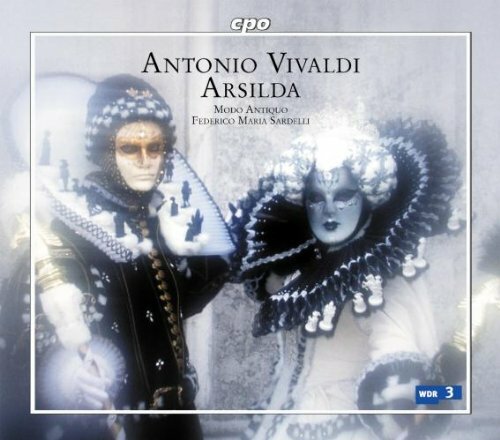 Pasticcio arranged by Vivaldi with 12 new arias by Vivaldi. "Probably the opera referred to by Uffenbach as Agrippina." E. Cross, Late Operas I: Appendix I n2. Music apparently lost. The cast included Carli (Claudio in Handel's Agrippina) as Seneca. Vivaldi. La costanza trionfante degl'amori e degl'odii. (RV 706, Venice 1716). Revived in 1718 as Artabano Rè de'Parti (RV 701). According to Cross, L'odio vinto dalla costanza (RV Anh. 51, Venice 1731), probably was a pasticcio based on the 1718 Arabano. Doriclea (RV 708, Prague 1732) adapted from the first version of La costanza. Music apparently lost, except for arias from Artabano that were used in the 1719 intermezzo Dorimena e Tuberone. UPDATE: Six arias from La costanza trionfante have been discovered in the archive of Berkeley Castle, Glouscestershire. BBC, 30 October 2004. 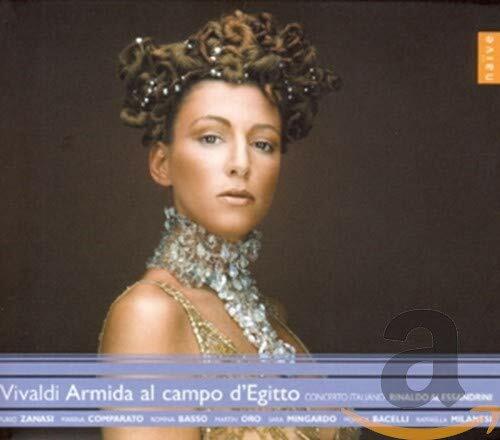 They were performed in 2004 along with simultaneously rediscovered arias from Porta's La costanza combattuta in amore at various venues by Rinaldo Alessandrini and the OAE. (E.g., Queen Elizabeth Hall, London, 25 November 2004). Vivaldi. Arsilda, Regina di Ponto. (RV 700, Venice 1716). Opus 111 (Naïve). Forthcoming. Il Giardino Armonico. Vivaldi. Tieteberga. (RV 737, Venice 1717). Music apparently lost. Vivaldi. Il vinto trionfante del vincitore. (RV Anh. 58, Venice 1717). Pasticcio probably arranged by Vivaldi from the original setting of 1694 by Albinoni. Music apparently lost. Vivaldi. Scanderbeg. (RV 732, Florence 1718). Most music apparently lost. The cast included Francesca Cuzzoni as Doneca. Vivaldi. La Candace o siano Li veri amici. (RV 704, Mantua 1720). Most music apparently lost. 11 arias and one quartet survive. Vivaldi. Tito Manlio. (RV Anh. 56, Rome 1720). Each act was by a different composer. Act I: Gaetano Bono; Act II: Giovanni Giorgi; Act III: Vivaldi. A few of Vivaldi's arias correspond with the 1719 version. (Cross). 19 arias and 1 chorus survive. Vivaldi. Filippo, Rè di Macedonia. (RV 715, Venice 1721). Most music apparently lost. Only Act III was composed by Vivaldi. Acts I and II were by G. Boniventi. Vivaldi? La Ninfa Infelice e Fortunata. (Treviso 1723). This anonymous pasticcio reused a number of arias from Vivaldi's La Verità in Cimento. It marked the operatic debut of Anna Girò. Frédéric Delaméa writes in the liner notes to the Opus 111 recording of La Verità that it "bears the stamp" of Vivaldi. Vivaldi. Giustino. (RV 717, Rome 1724). Tactus. Forthcoming. Sandro Volta. Vivaldi. L'inganno trionfante in amore. (RV 721, Venice 1725). Music apparently lost. Vivaldi. Cunegonda. (RV 707, Venice 1726). Music apparently lost. Probably a pasticcio arranged by Vivaldi. (Cross). Vivaldi. La fede tradita e vendicata. (RV 712, Venice 1726). Music apparently lost. Revived in 1750 as Ernelinda (RV Anh. 45), probably a pasticcio with music by Vivaldi, Gasparini and Galuppi. (Cross). Vivaldi. La tirannia castigata. (RV Anh. 55, Prague 1726). Music apparently lost. 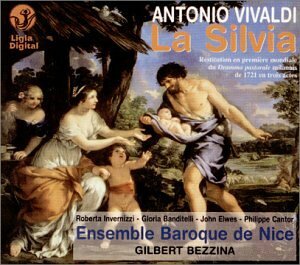 "Only arias by Vivaldi (from other operas?). Recitatives by Antonio Guerra. Probably arranged by Antonio Denzio using material from La costanza trionfante, in which he sang Artabano." (Cross). "Of the two different scores in Turin, Giordano 37, dated in Vivaldi's hand '1738', is almost certainly for the projected Ferrarese performances in Carn. 1739. The date of Giordano 36 is uncertain. The score does not correspond with the printed librettos of 1727, 1730, 1732 or 1737. It is possibly for Leghorn 1729." "Several newly composed arias by Vivaldi." Spring 1730, Sporck, Prague: "Probably arr. Denzio not Vivaldi. Includes a buffo role and 5 new arias not by Vivaldi." Carnival 1732, Arciducale, Mantua: "New arrangement probably by Vivaldi himself." 2nd Carnival 1739, Bonacossi, Ferrara: Giordano 37 - Autograph Acts I and II only. "This performance probably never actually took place (see Cavicchi, 76)." Vivaldi. Impermestra. (RV 722, Florence 1727). Music apparently lost. Vivaldi. Siroe, Rè di Persia. (RV 735, Reggio Emilia 1727). Music apparently lost. Vivaldi. Rosilena ed Oronta. (RV 730, Venice 1728). Music apparently lost. Vivaldi. Avilda, regina de'Goti. (RV 696, Prague 1731). Music apparently lost. "Only some arias by Vivaldi, probably from other operas (see Voelk, 67)." (Cross). Vivaldi. Semiramide. (RV 733, Mantua 1732). According to Cross, most of the music apparently was lost, but since a recording by Alan Curtis is planned, perhaps new sources have been discovered. Vivaldi. 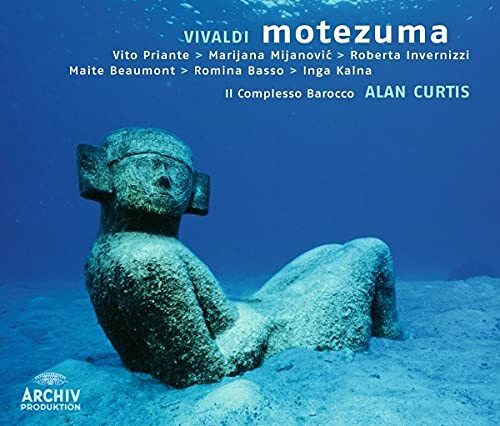 Motezuma. (RV 723, Venice 1733). Federico Maria Sardelli, Modo Antiquo. Announced several years ago but perhaps scrapped in light of the superb recording by Curtis. 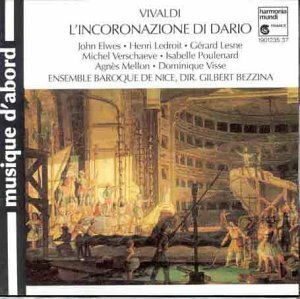 The Malgoire recording is a modern pasticcio of other Vivaldi arias on the original libretto. Symposium: Vivaldi's Motezuma and Exoticism in Opera Seria. Rotterdam, 11 June 2005. Michael Talbot, chair. Additional presentations by Reinhard Strohm, Steffen Voss, Enrico Careri and Melania Bucciarelli. In conjunction with a performance directed by Sardelli. Details. Vivaldi. L'Adelaide. (RV 695, Verona 1735). Music apparently lost. Vivaldi. Griselda. (RV 718, Venice 1735). Notes with original cast and plot summary. See John Walter Hill, "Vivaldi's Griselda". Journal of the American Musicological Society 31(1): 53-82 (Spring 1978). There was a performance in Templin, Germany in August 2004 by Harmonologia, Jan Tomasz Adamus, director. 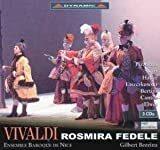 Griselda: Ewa Marciniec, contralto; Costanza: Olga Pasiecznik, soprano; Gualtiero: Krystian Krzeszowiak, tenor; Ottone: Marzena Lubaszka, soprano; Roberto: Joanna Dorakowska, mezzo-soprano; Corrado: Joanna Majewska, mezzo-soprano. Eric Cross prepared a new performing edition for Harmonologia. Vivaldi. Aristide. (RV 698, Venice 1735). Music apparently lost. Dramma eroicomico per musica in one act. Vivaldi. Ginevra, principessa di Scozia. (RV 716, Venice 1736). Music apparently lost. Vivaldi. Demetrio. (RV Anh. 44, Venice 1737). Music apparently lost. "Rearrangement by Vivaldi of Hasse's Demetrio, using some of his own material (see Cavicchi, 51)." (Cross). Vivaldi. Alessandro nell'Indie. (RV Anh. 40, Venice 1737). Music apparently lost. "Rearrangement by Vivaldi of Hasse's Alessandro nell'Indie." (Cross). Vivaldi. Feraspe. (RV 713, Venice 1739). Music apparently lost. Reinhard Strohm. The Operas of Antonio Vivaldi. Fondazione Giorgio Cini - Studi di musica veneta - Quaderni vivaldiani, vol. 13. Details (pdf). Olschki (2008). 2 volumes, 792 pages. ISBN: 8822256829. Since it's not well distributed outside of Italy, I ordered my copy from an Italian book dealer through AbeBooks.co.uk. Reinhard Strohm, "Vivaldi's career as an opera producer." Essays on Handel and the Italian Opera. (Oxford University Press 1985). 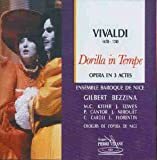 Opere di Antonio Vivaldi - List of Vivaldi operas in alphabetical order with names of librettists and details on first performances.